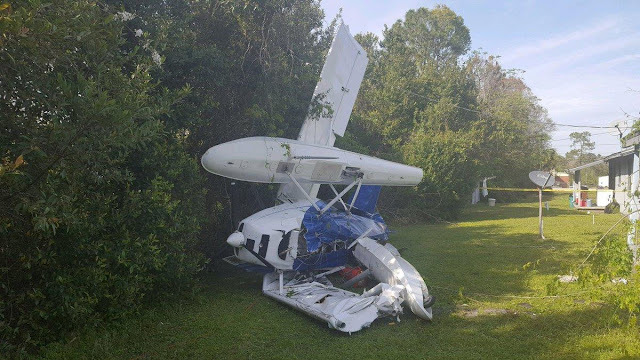 On March 6, 2018, about 1430 eastern standard time, an experimental amateur-built Just Escapade, N45DC, was substantially damaged when it impacted terrain while on approach to the Palatka Municipal Airport (28J), Palatka, Florida. The private pilot and passenger sustained minor injuries. The personal flight was conducted under the provisions of Title 14 Code of Federal Regulations Part 91. Visual meteorological conditions prevailed, and no flight plan was filed for the flight, which originated from Northeast Florida Regional Airport (SGJ), St. Augustine, Florida, about 1330. According to the pilot, he topped-off the airplane's fuel tanks at SGJ, took off, and then flew southbound over the St. Johns River toward 28J. After maneuvering for about one hour, he entered a mid-field downwind in the traffic pattern at 28J for runway 27. As the airplane turned onto the final approach leg of the traffic pattern, the engine lost total power. The pilot reported that he checked the fuel shutoff valve, and verified it was on, added power, and applied the engine enrichener, which produced only a momentary burst of engine power. 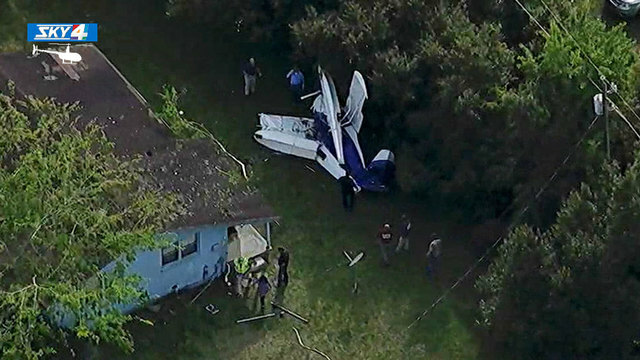 He added that "the airplane doesn't glide very well," airspeed decreased, and it entered an aerodynamic stall, descended, and impacted the roof of a house and trees about one mile from the runway threshold. The pilot reported that the engine was running "perfect" up until the loss of engine power. The airplane came to rest in a backyard on its right side. The right wing was crushed forward and under the fuselage; the airplane's fuselage, wings, and vertical stabilizer sustained substantial damage. According to Federal Aviation Administration (FAA) airworthiness records, the two-seat, high-wing, float equipped, single-engine airplane was manufactured in 2007. It was equipped with a 100-horsepower Rotax 912ULS engine, that was controlled by a throttle lever and enrichener. The airplane was not equipped with carburetor heat. Postaccident examination of the airplane by an FAA inspector revealed that the fuel selector was found in the off position at the accident site, however, the pilot reported that after impact, he moved the fuel selector to the off position. The left-wing fuel tank was empty, and the right wing had about 3 gallons of fuel. Both tanks displayed evidence that fuel had leaked out post-impact, as an odor of fuel was present at the accident site. A red auxiliary fuel tank located behind the pilot and passenger seat was found with just enough fuel to cover the bottom of the 12-gallon tank. When examined, both carburetors displayed remnants of fuel inside their float bowls. Examination of the fuel system between the fuel tanks and the carburetors revealed the lines were clear and there were no mechanical anomalies (See Engine and Fuel System Factual Report in Docket). The airplane was equipped with a Dynon Avionics, FlightDEK-D180 Super-Bright, Electronic Flight Instrument System (EFIS) and Engine Monitoring System (EMS), which recorded non-volatile memory from the flight. The data revealed normal engine and flight instrument parameters throughout the flight, until about 2 minutes prior to the accident, where fuel flow momentarily dropped to 0 and then returned to 2 gallons per hour (GPH). About 50 seconds later, fuel flow increased rapidly through 8 GPH, then 13 seconds later shows 57 GPH, and peaks at 102 GPH. When the fuel flow rose to 102 GPH, rpm rapidly decreased to 0 rpm, as the airplane was about 400 ft above ground level. The rpm remained at 0 rpm for the remainder of the recording, except for a momentary 2,500 rpm reading. The airplane's airspeed and altitude rapidly decreased a few seconds after the 0 rpm reading. The impact was about 25 seconds after the first 0 rpm reading (See EFIS and EMS Data Factual Report in docket). An engine test-run was performed; the engine started with its own ignition system and original fuel. The engine produced power for a total of 2-3 minutes at different power settings. During the engine test, after the engine ran for about 30 seconds, the fuel source was removed. The engine ran for about two additional minutes without the fuel source connected, and then stopped. The Dynon FlightDEK-D180 display was also monitored during the test-run. After the fuel source was removed, the fuel flow GPH reading decreased to 2-3 GPH, then further decreased to 0.0 GPH for one or two seconds. Subsequently, GPH rapidly rose rapidly rose to 99.9 GPH and remained steady at that reading until the engine ceased running. After the engine stopped, the GPH reading continued to display 99.9 GPH for about 5 seconds, and then decreased back to 0.0 GPH. The airplane was equipped with an electronic fuel flow transducer, which measured the GPH rate of fuel passing through the fuel line via a spinning paddle. According to a transducer manufacturer, when air enters the flow transducer, the paddle wheel is free to spin at the velocity of the air that passes over the wheel, which is higher than fuel flow. According to FAA airman records, the pilot held a private pilot certificate with ratings for airplane single-engine land and sea. His most recent FAA third-class medical certificate was issued in November 2016. He reported a total flight experience of 435 hours and 169 hours in the accident make and model airplane. The weather conditions reported at Keystone Airpark (42J), Keystone Heights, Florida, 22 nautical miles from the accident site, at 1435, included a wind of 220° at 12 knots, gusting to 16 knots, visibility 10 statute miles, few clouds at 3,500 and 5,500 ft above ground level, temperature 24°C, and dew point 6°C. 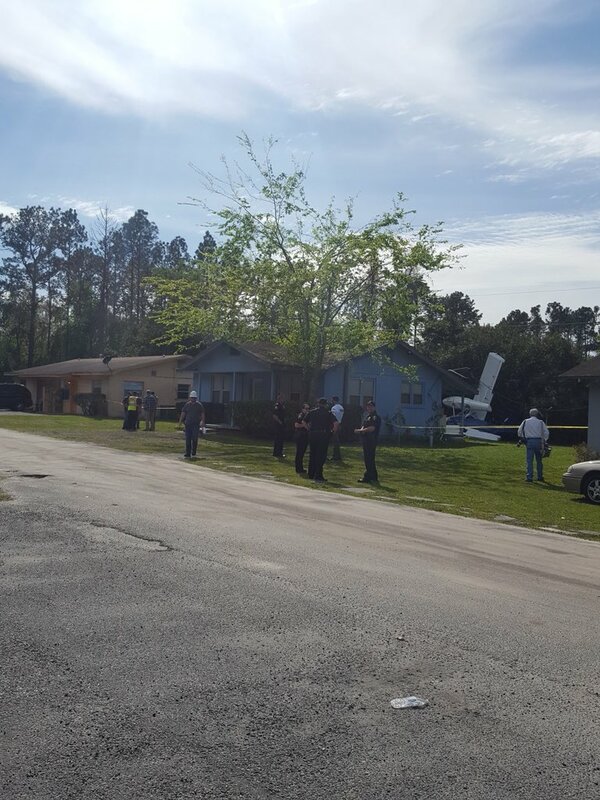 On March 6, 2018 about 1430 eastern standard time, an experimental amateur-built Escapade airplane, N45DC, was substantially damaged when it impacted terrain while on approach to the Palatka Municipal Airport (28J), Palatka, Florida. The private pilot and passenger sustained minor injuries. The personal flight was conducted under the provisions of Title 14 Code of Federal Regulations Part 91. Visual meteorological conditions prevailed, and no flight plan was filed for the flight, which originated from Northeast Florida Regional Airport (SGJ), St. Augustine, Florida, about 1330. According to the pilot, he topped-off the airplane's fuel tanks at SGJ, took off, and then cruised southbound over the St. Johns River toward 28J. After maneuvering in the area, he entered the mid-field downwind leg of the traffic pattern at 28J for runway 27, and as the airplane turned onto the final approach leg of the traffic pattern, the engine lost total power. The pilot reported that he checked the on/off fuel shutoff valve, and verified it was on, added power, and applied the engine choke, which produced only a momentary burst of engine power. 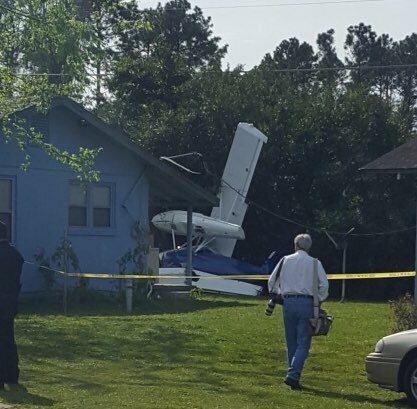 He added that "the airplane doesn't glide very well," and the airplane entered an aerodynamic stall, descended, and impacted the roof of a house and trees about 1/2 mile from the runway. The pilot reported that the engine was running "perfect" up until the loss of engine power. The airplane's fuselage, wings, and vertical stabilizer sustained substantial damage. According to Federal Aviation Administration (FAA) airman records, the pilot held a private pilot certificate with ratings for airplane single-engine land and sea. His most recent FAA third-class medical certificate was issued in November 2016. According to FAA airworthiness records, the two-seat, high-wing, float equipped, single-engine airplane was manufactured in 2007. It was equipped with a Rotax 912ULS, 100-horsepower engine. 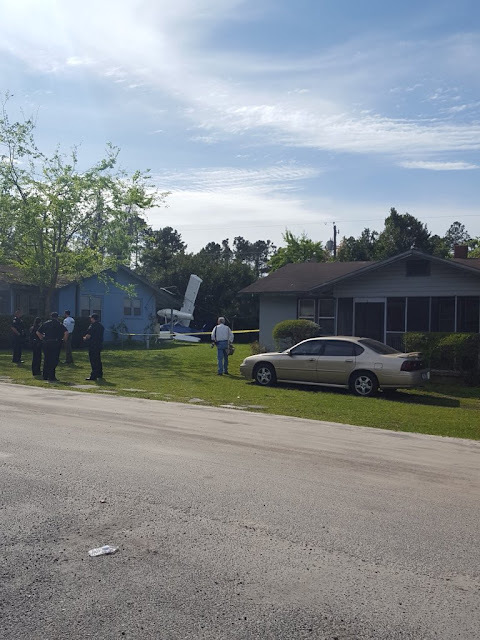 PALATKA, Fla. - Two people were injured Tuesday afternoon when a floatplane clipped a tree, a power line and the roof of a home before crashing on Reid Street, just outside Palatka. The Putnam County Sheriff's Office said a bystander who witnessed the crash took a man and woman with minor injuries to the Putnam County Medical Center. The Florida Highway Patrol said the floatplane that was on approach to Kay Larkin Airport at 2:36 p.m. when the pilot radioed the tower to say the plane had lost power. 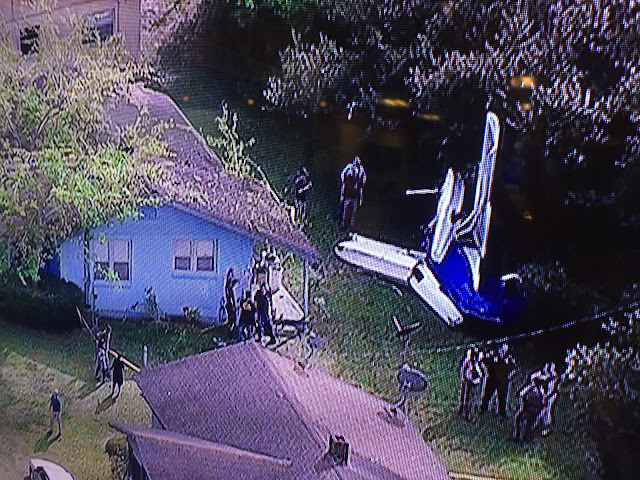 The floatplane landed in the backyard of a house near the intersection of State Roads 100 and 17, only blocks from the airport. Larry Putt, 70, of Augusta, and Jan Edwards, 66, of St. Augustine both suffered minor injuries, according to troopers. No one at the house when the plane crashed. Two people are injured after a floatplane crash landed in Putnam County on Tuesday. Putnam County Fire Chief Paul Flateau says first responders were called to reports of a single-engine plane crash off Reid Street at approximately 2:35 p.m. Pilot and passenger, Larry Putt, 70, and Jan Edwards, 66, were already en route to the hospital when fire rescue got to the scene, Flateau said. Florida Highway Patrol said on Twitter that the floatplane may have lost power before approaching Palatka Airport. FHP said the floatplane hit a home, tree and power line before landing. Both people on the plane had minor injuries and were taken to Putnam Medical Center, according to FHP.